Building eValuate is dedicated to ensuring homeowners and businesses receive the best possible advice when it comes to buying, building, designing or improving their property. Paul Kleywegt is the manager of Building eValuate. An accredited building practitioner with a 26 year association with the building industry, Paul’s experience extends to residential building projects throughout Australia, Japan and Europe. Most recently, he has managed a successful building company dedicated to constructing energy efficient housing. After many years of upgrading and refurbishing poorly built or poorly performing buildings, Paul realised there was a need for a consultancy offering advice on the built environment and on techniques to vastly improve our future housing stock. 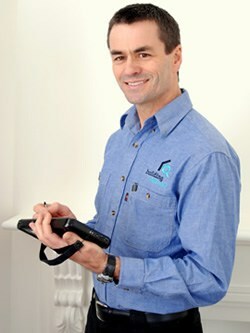 Paul’s strong interest in energy efficient buildings and construction techniques led him to training with the Association of Building Sustainability Assessors (ABSA). This training led to Paul’s accreditation as a home sustainability assessor and qualification as a building thermal performance assessor. He also completed the extra training required to take part in the Australian Government’s Home Sustainability Assessments Scheme. Paul’s objective is to assist homeowners and builders in reducing carbon emissions from existing residential and commercial buildings – thereby assisting in the collective effort to shift towards a more sustainable society overall. Building eValuate also fields individuals and teams in cycling and multi-sport events locally and nationally.